His 1905 paper on the electrodynamics of moving bodies introduced his theory of special relativity, which showed that the observed independence of the speed of light on the observer’s state of motion required fundamental changes to the notion of simultaneity. Consequences of this include the time-space frame of a moving body slowing down and contracting (in the direction of motion) relative to the frame of the observer. This paper also argued that the idea of a luminiferous aether – one of the leading theoretical entities in physics at the time – was superfluous. In his paper on mass–energy equivalence, which had previously considered to be distinct concepts, Einstein deduced from his equations of special relativity what has been called the twentieth century’s best-known equation: E = mc2. This equation suggests that tiny amounts of mass could be converted into huge amounts of energy and presaged the development of nuclear power. Einstein’s 1905 work on relativity remained controversial for many years, but was accepted by leading physicists, starting with Max Planck. When Einstein applied his theory to gravitational fields, he derived the "curved space-time continuum" which depicts the dimensions of space and time as a two-dimensional surface where massive objects create valleys and dips in the surface. This aspect of relativity explained the phenomena of light bending around the sun, predicted black holes as well as the Cosmic Microwave Background Radiation (CMB) -- a discovery rendering fundamental anomalies in the classic Steady-State hypothesis. For his work on relativity, the photoelectric effect and blackbody radiation, Einstein received the Nobel Prize in 1921. Physicists usually dichotomize the Theory of Relativity into two parts. The first is the Special Theory of Relativity, which essentially deals with the question of whether rest and motion are relative or absolute, and with the consequences of Einstein’s conjecture that they are relative. The second is the General Theory of Relativity, which primarily applies to particles as they accelerate, particularly due to gravitation, and acts as a radical revision of Newton’s theory, predicting important new results for fast-moving and/or very massive bodies. The General Theory of Relativity correctly reproduces all validated predictions of Newton’s theory, but expands on our understanding of some of the key principles. Newtonian physics had previously hypothesised that gravity operated through empty space, but the theory lacked explanatory power as far as how the distance and mass of a given object could be transmitted through space. General relativity irons out this paradox, for it shows that objects continue to move in a straight line in space-time, but we observe the motion as acceleration because of the curved nature of space-time. Einstein was one of the fathers of the atomic age. He was one of the greatest scientists of all time. 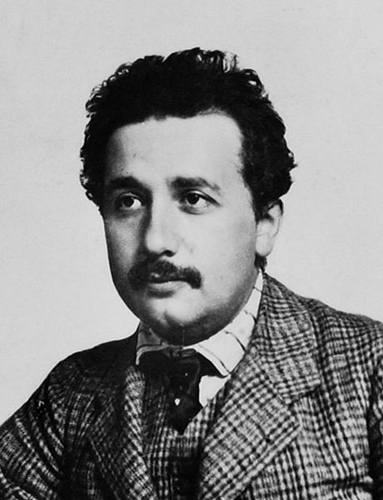 In 1905 Einstein contributed three papers to Annalen der Physik (Annals of Physics), a German scientific periodical. Each of them became the basis of a new branch of physics. In 1905 Albert Einstein formulates Special Theory of Relativity. Using Max Planck’s quantum Theory he formulated the photon theory of light and explains the photoelectric effect. In his 1905 paper, titled “The Electrodynamics of Moving Bodies,” Einstein presented the special theory of relatively. In this paper, he showed how the theory demonstrated the relativity of time, a previously unimaginable idea. He advanced the theory of relativity when he was only 26 years old. Einstein’s relativity theory revolutionized scientific thought with new conceptions of time, space, mass, motion, and gravitation. His famous equation E=mc² (energy equals mass times the velocity of light squared), became the foundation stone in the development of atomic energy. The theory of relatively is founded on the idea that only relative motion can be measured. The consequences of this notion are profound, and shatter the Newtonian conception of the world. Both space and time are no longer absolutes.